This beautiful, fun pillow will brighten any room and make a great gift. 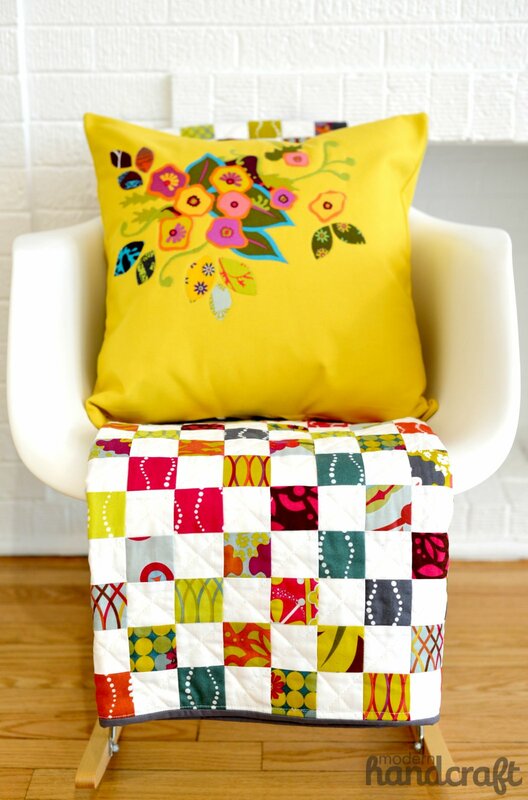 Make it your own with your favorite floral fabrics. 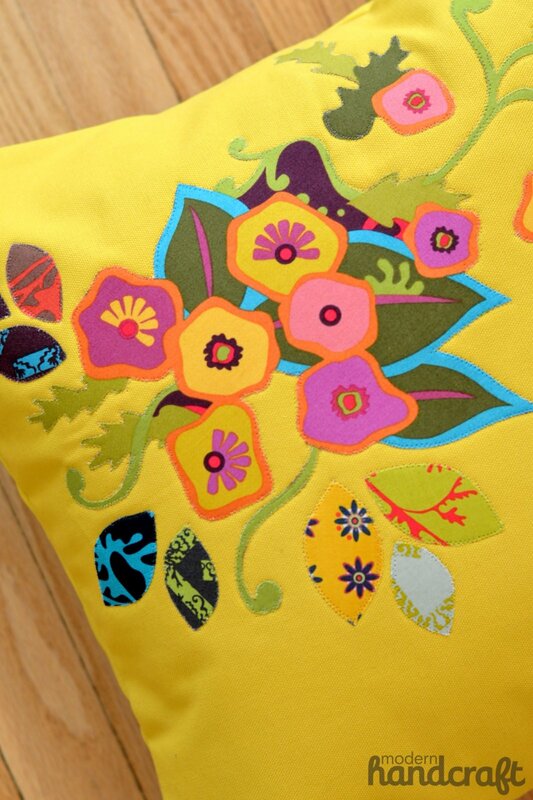 "One of my favorite projects to make for my home and for gifts is always a pillow." 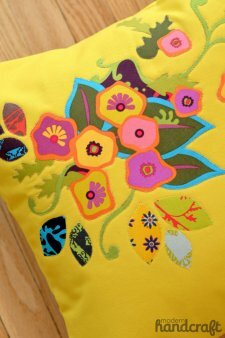 "For my Floral Applique Pillow I am using a zig zag stitch with clear thread around a floral fabric that I am currently making a quilt with – Alison Glass’ new line Field Day by Andover fabrics. This fabric was a perfect one to use because it was easy to cut around the floral shapes and make petals from the other non floral patterns. Any floral fabric will do as long as you have a larger pattern to cut around."